Eco Villas’ showroom at Anse a la Mouche, in the western district of Anse Boileau. A few companies are available locally offering people in Seychelles another option when building their dream home. Most Seychellois islanders aspire to owning their own home, somewhere on the coast or the mountainside of one of the inhabited islands of the Indian Ocean archipelago. With the high cost that comes with building standard 2 to 3 bedroom concretehouses in the country, which can cost between $650 per square metre up to the more expensive $1,071 per square metre, people are looking at cheaper options. One of these options is prefabricated houses that are manufactured off-site to be easily shipped and assembled, which are now becoming much more available for Seychellois buyers. These types of houses have been around in Seychelles for a long time and some examples are those seen at Greenwich, in the central district of Mont Buxton which are made of wooden frames from Malaysia. E co Villas Ltd Seychelles and Union Roofing are two of a handful of local companies that are now offering prefabhouses and SNA met with the chief executives of these two companies, Italian born Andrea Colucci of Eco Villas and Seychellois entrepreneur Richard Ernestine with Union Roofing. Colucci launched Eco Villas, which specialises in assembling wooden prefab homes after visiting Seychelles over eight years ago. He noted that while moving around the island, he could not help but notice the quality of current construction, the level of finishing on the houses and the type of materials that was being used. 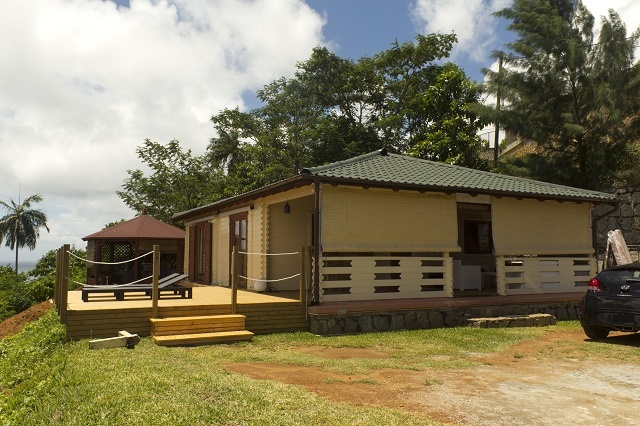 “I started to think that prefabhouses could be a good product for Seychelles,” said Colucci. He stated however that setting up the business was not an easy task. Italian born Andrea Colucci says it is only in the past three and a half years that he has been delivering prefabhouses to clients since starting the business in Seychelles in 2008.